It seems like HBO and its hit Television series Game of Thrones can’t catch a break from its constant leaks – even from its own sub-international affiliates. The premium cable is caught between another leak situation, but this time there are no devious hackers involved. HBO Espana is being held responsible for this leak. An HBO Europe spokesperson, came ahead and acknowledge the issue, and stated that the upcoming episode of ‘Game of Thrones’ was accidentally posted and leaked on HBO Espana and HBO Nordic. This error was originated because of a third party vendor. However, the episode was removed as soon as the episode was recognized. However the damage is done, and Game of Thrones fans across the globe have got their hands around the leaked episode. Spoilers! In this leaked video it looked the mother of the dragon will be losing one her sons in the next episode. The leak also showcases multiple war spoilers going between the nightwalkers and Jon snow but will let you discover that on your own. This is not the first time that the show has suffered from a leak. Just last week Game of Thrones 5th episode was leaked online. This is the seventh season of the show, which reportedly has only 7 episodes, and now that the 6th episode of the show has already leaked. The season finally ended yesterday, with all 7 seasons airing on the television. But this season of Game of Throne had to battle against a lot of leaks and piracy. It is estimated that each episode of his TV series is shot with a budget of $10 million, which is unable to make the estimated profit because of these leaks. 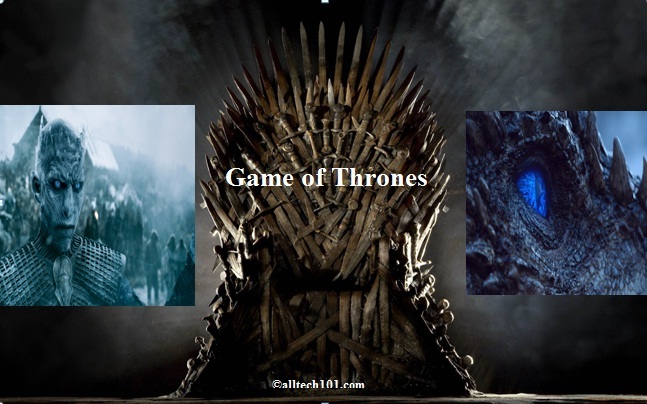 The producers of the show have to look up for better data security system if they want to eliminate these issues in the next season of Game of Thrones, which is going to the last season of the show.